The EU has proposed a directive to ban all single-use plastics like straws, bottles, and bags, by 2021; it was met with wide support in the European parliament. If the UK does not follow the same rules, it could potentially become “a dumping ground” for businesses, says the Labor Party’s environment spokesman Seb Dance. It is crucial the UK stays with the EU on this plan. The EU could make a big leap in fighting single-use plastics, however, if the UK rejects the rules, plastics manufacturers will push their products more and more on the UK citizens and businesses. We should be thinking about collective bodies even larger than the EU, the United Nations in particular, following these steps and putting laws which protect the environment in place. Instead, there’s worry that singular nations will put the hard work of others at risk. Every day, ordinary citizens fail in the call to care for the amazingly beautiful planet we live on. How? Because we are simply not capable, as a collective, to change our attitudes and actions towards plastic. There are over seven and half billion humans living on Earth in 2018 (and rising). Change on an individual or domestic level is great but if we have 12 years left to save the planet, we require supranational efforts. Every day, the voice of environmentalism grows stronger and as the EU have, we must echo this call. The biggest challenge to international policy-making on this issue is money. Plastics are incredibly efficient and cheap, keeping business costs low. For instance, plastic is used for packaging and helping food last; green beans or radishes bought at the supermarket stay edible longer because of the plastic packaging. Removing it would exponentially increase transportation costs and the amount of food thrown away daily. Yet some big businesses are already moving away from single-use plastics; Nestle, Iceland, Coca-Cola, IKEA, and Unilever, among others, are all actively seeking to decrease their usage (substituting plastic with paper, wood, using re-usable or recyclable plastic). Companies pledging change might seem to make little difference in the grand scheme of things, but it may incentivize others into seeking alternatives as well as stoke nations to begin lawmaking. The European Union is making moves to decrease the production of single-use plastics. The goal is to save our oceans from non-renewable plastics, however, some are concerned that due to the United Kingdom’s plan to leave the EU, the nation may not follow the same path. Each and every nation should contribute to these efforts. Unity must prevail if our oceans and our planet are to be saved. 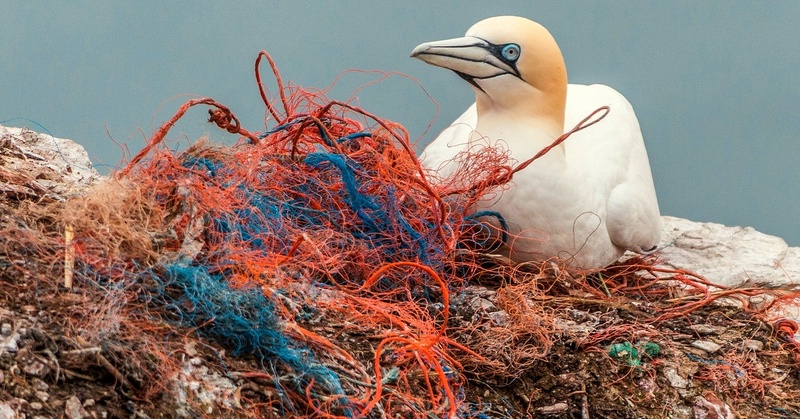 It will be difficult, near impossible, to break away from single-use plastics, but as a population, we can pressure more businesses and governments to pursue other alternatives. If we stick with the EU on this ruling, we may just save our planet yet.